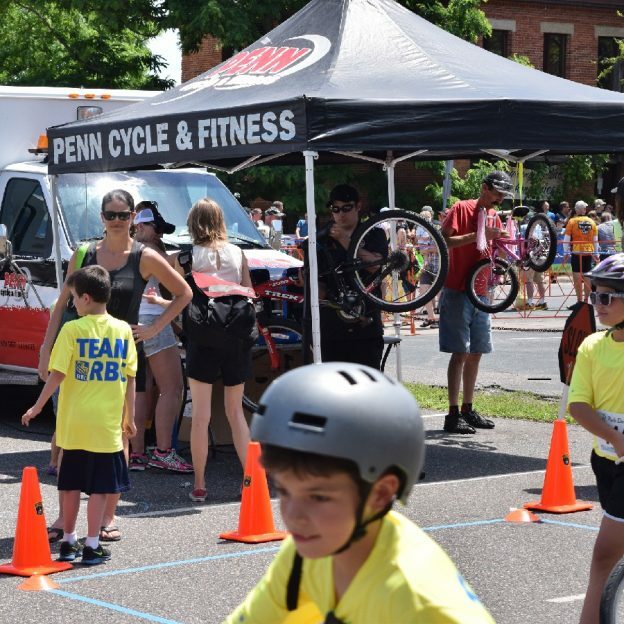 Penn Cycle & Fitness set up at last year’s North Star Bike Festival and Grand Prix, ready to help all participants check over their bikes for the Kid’s Race, where everyone was a winner! The Festival draws the top pro/elite racers from all over the country, starting tonight in St. Paul, MN. Thursday the Festival moves to Cannon Falls, then on Friday evening it is in the Minneapolis Uptown Area, Saturday it is in North Mankato and Sunday all points are counted up and the race concludes in Stillwater, MN. See the full schedule here. Find many more bike friendly events and places to ride and explore in the new Minnesota Bike/Hike Guide. This entry was posted in Picture of the Day and tagged #FindYourNextAdventure, #onlyinMN, Cannon Falls, kids bike races, men's bike races, Minneapolis, North Mankato, North Star Bike Festival and Grand Prix, Penn Cycle & Fitness, St. Paul, Stillwater, women's bike races on June 15, 2016 by Russ Lowthian.